There are two ways to view the sakura, the small, delicate pink flowers often associated with Japan, as explained by Ash, one of the members of MNL48. One is that it signifies the fleeting nature of life --a reminder that our existence are tragically short-lived. Another is to take it as a symbol for hope, that the future is beautiful if viewed through wide-eyed optimism because it's bursting with possibilities. The new music video for MNL48, for a song that puts sakura front and center as its theme, focuses on the latter --that is to say, it features the group's members beaming with smiles and having fun. A few reporters and bloggers got to watch the music video ahead of its official release tomorrow, Saturday, on MYX Philippines. It starts off with a pensive mood, with all three of the group's top girls (decided by votes) Sheki, Abby, and Sela all absorbed in their own thoughts. But something changes when they begin to sing. Sheki, the group's 'center girl,' starts off a little pensive in their new music video. The mood of the music video gets progressively happier and lighter in the latter half. 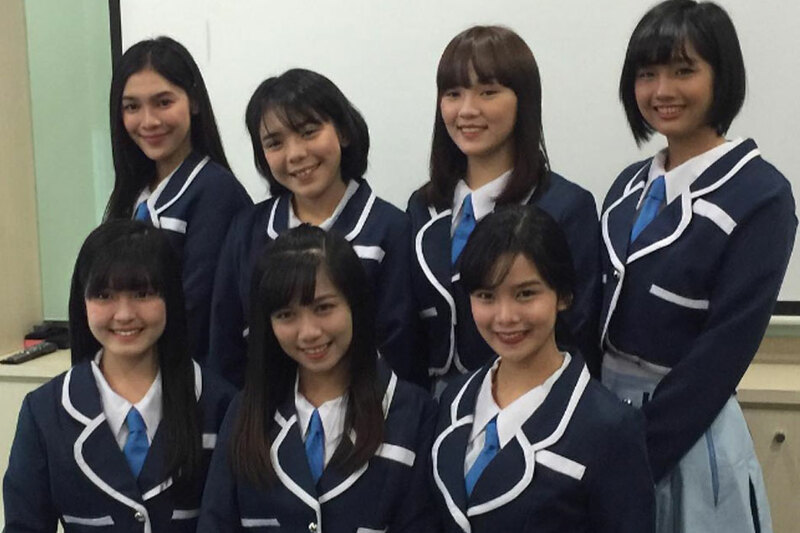 Their cheerfulness is driven by their unified ambition, shared with the other MNL48 members, to become a successful idol group in the Philippines --a country which have yet to see one based on the Japanese model rise to the very top. It then cuts to them, together onstage, performing in sync a dance the first generation of AKB48 --the Japanese idol group where MNL48 is based on-- popularized. For context, the song "Talulot ng Sakura" is a Tagalog version of AKB48's first-ever single "Sakura No Hanabiratachi." Being an official sister group of AKB48, MNL48 can only release covers from their Japanese counterpart. 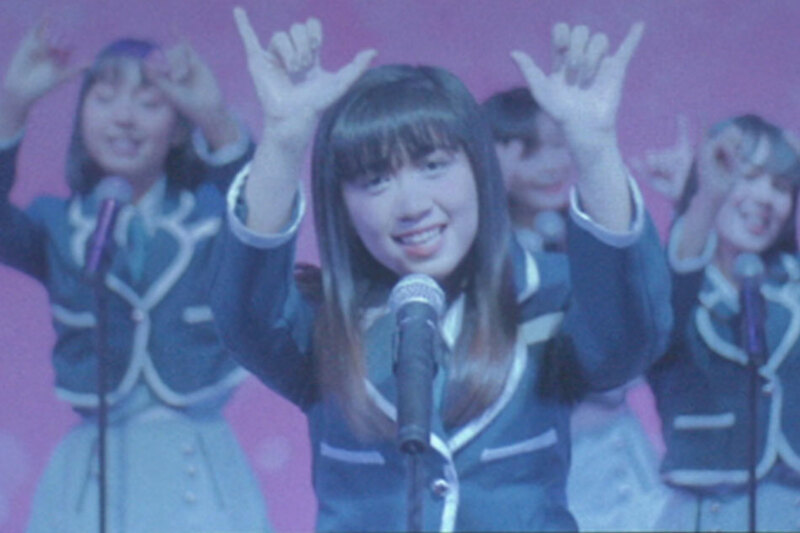 The music video for "Talulot ng Sakura" is MNL48's second, with the first being the one for "Aitakatta - Gustong Makita." While MNL48's debut music video focused on more personal stories of friendship and heartbreak, their sophomore effort is an ode to teamwork and the significance of having friends who tirelessly motivate one another. Going back to the exact copy of the shot in the original "Sakura No Hanabiratachi" video, it can be viewed that MNL48 is alluding to the time when the primary selling point of AKB48 was that it's a group of amateurish girls helping each other reach the top. The MNL8 girls pay tribute to their sister group in their video for 'Talulot ng Sakura' by performing the same dance in the original. The message is essentially the same: that if MNL48 were to become a hit, it's important that no one gets left behind. The music video will be launched on MYX Philippines Saturday, October 27. It is directed by Japanese director Tetsuya Hashi, and was mostly shot at the La Mesa Eco Park in Quezon City.